First of all, make sure you check with your electronic contract manufacturer about part availability. You don't want to choose components that are no longer available or will be difficult to obtain. A component shortage can delay your assembly and can end up being costly, so you'll want to make sure the components you choose for your assembly will be readily available. Component shortages can happen for many reasons including obsolescence, supply chain disruptions, and production capacity. You can take precautions to avoid component shortages by making sure you find a quality electronic contract manufacturer that has an experienced purchasing department as well as an engineering team that can find suitable replacement parts for components that may be more difficult to obtain. You should also make sure that you provide a forecast for demand to the electronic contract manufacturer as soon as you can. The earlier you plan for your needs, the more likely it is that those needs will be met. It is also useful in helping your ECM alert you to changes in part availability or issues with forecasted obsolescence. 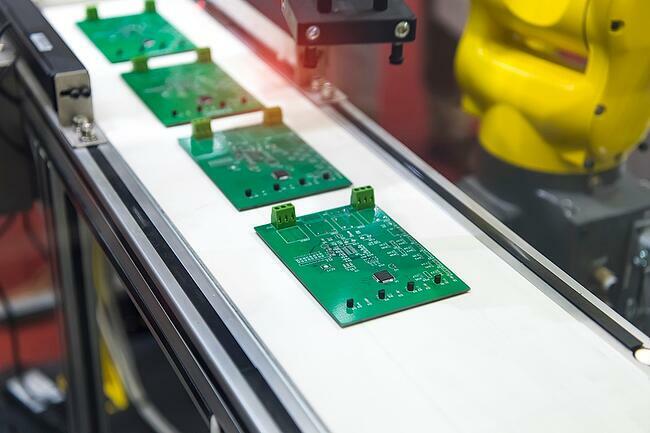 To ensure a quality PCB assembly, you need to take into account the environment that it will operate in as moisture levels and temperature can have negative effects on a components function. Your choice of components or materials may still allow you assembly to function in the short term, but the long term effects an adverse operating environment may be enough to drastically decrease your electronic assembly’s life span, if you do not obtain the proper parts for your PCB assembly. For example, if your product will be used in a heavy humidity area, then you will need to choose components, materials, and coatings that are designed to withstand the challenges of this type of environment. Choosing not to do so will negatively affect the quality of the final product. There are three types of component assembly types you can choose from: through-hole assembly, surface mount assembly, and mixed technology. Through-hole assembly involves drilling holes into the printed circuit boards through which the leads on the components are inserted and then soldered to pads on both sides. This process can be done through manual assembly or through the use of a wave-soldering machine. The use of through-hole assembly provides stronger mechanical bonding making it a good option for components that will experience mechanical stress. It is worth noting that it will limit the routing space of multilayer PCBs since drilled holes will need to cover every layer on the board. Surface-mount assembly is a newer mounting method in which the components are mounted directly on to the PCB surface. Electronic devices that are made in this way are referred to as surface-mount devices. Because no drilled holes are required, using surface-mount technology tends to take less time and is less expensive. However, surface-mount components are sometimes more vulnerable to mechanical stress, which means that compared to through-hole mounts, surface-mounts can result in less reliable PCBs. The trade-off is that while surface-mount assembly will help speed up production and reduce size and costs, there may be a higher risk of defects due to as opposed to components attached by through-hole assembly. Fortunately, both methods can be used on the same board to optimize the benefits offered by both without the drawbacks. Mixed technology assemblies are a combination of both surface mount and through hole. For mixed technology assembly, it’s crucial that your electronic manufacturer has experience working with these types of assemblies. Performing the assembly steps in an incorrect sequence can cause issues with the components on the assembly. Certain components have specific requirements that you will need to relay to your electronic contract manufacturer. For example, some components are more sensitive to electro static discharge (ESD) than others. While most electronic contract manufacturers will have an ESD mitigation plan in place, components with extra sensitivities may require more involved quality and handling plans. There are of course other factors that can affect the short and long term quality of your assembly. 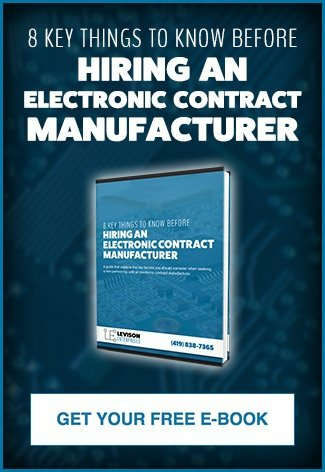 It’s important to choose an electronic contract manufacturer that has experience handling components and puts quality control plans in place for every part received into their stockroom. Driven by our AS9100 and ISO 9001 certifications, Levison Enterprises has the systems and experience to source and handle components with uncommon demands and even alert our customers to upcoming changes in part availability or obsolescence. If you're interested in learning more about Levison Enterprises PCB assembly capabilities, contact us today.